December 11, 2018 -- It is encouraging that the National Health Service (NHS) in England has begun a long-term plan to evaluate its current strategy for cancer screening. Although the U.K. was one of the very first countries to introduce nationwide breast cancer screening back in 1987, this review is long overdue. Early detection through mammography screening is a proven lifesaving method, provided that both detection and treatment are state-of-the-art and under regular evaluation, as has been the policy of the Swedish Two-County Trial and subsequent service screening. However, the three-year interscreening interval in the U.K. allows far too many rapidly growing cancers to grow to an advanced stage, when current treatment regimens are poorly effective. The popular term "personalized screening" should not mean that so-called low-risk women will be deprived of screening, as has been suggested by Dr. Nora Pashayan, PhD, in the November 2018 edition of JAMA Oncology. As Dr. Stephen W. Duffy has written in an editorial in the Journal of Medical Screening (18 November 2018), caution is needed when risk-based screening is suggested. This approach has already been shown not to be effective in practice, as, for example, Amy Ming-Fang Yen, PhD, and colleagues from Taiwan showed in the July 2016 edition of JAMA Oncology. The failure of screening based on risk factors can easily be understood since 64% to 70% of breast cancer patients do not have risk factors. The logical approach to improve screening efficacy is to offer more intensive screening to selected groups, such as women with dense breasts and women with a high genetic risk. Efforts to deprive women of mammography screening in the hope of "saving money" are both illogical and unethical. First of all, women come to screening to gain assurance that they do not have a detectable breast cancer. Even more important, there is no justification for depriving women of this potentially lifesaving examination. But where can money be saved? Screening at shorter intervals using the multimodality approach to screening will significantly decrease the number of women with advanced breast cancers, whose treatment is extremely expensive without a significant effect on breast cancer mortality. At the other end of the spectrum, as we have recently documented in Cancer ("The incidence of fatal breast cancer measures the increased effectiveness of therapy in women participating in mammography screening," 8 November 2018), women who attended screening regularly showed a 60% lower risk of dying from breast cancer within 10 years of diagnosis than did nonattenders. The treatment of screen-detected cancers is more effective at a lower cost per patient. After many years of overblown emphasis on the so-called harms of screening, women and the medical community are both coming to understand the far more serious harms of not screening, as this leads to delayed diagnosis and its costly consequences. Most women have understood the benefits of screening, which is why they attend, despite the energetic campaign of misinformation questioning the value of early detection of breast cancer. Today's breast cancer therapy is highly effective against small, screen-detected breast cancers but has limited efficacy against advanced breast cancers. The real enemy is advanced breast cancer, and anything that allows a breast cancer to grow, undetected, to an advanced stage, will cause women harm. We have to do everything we can to prevent this from happening. Overall, it is important to remember that early detection of breast cancer and treatment in early phase calls for continuous vigilance. 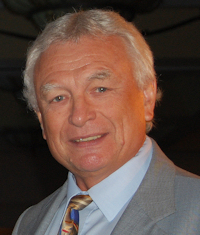 Dr. László Tabár is professor emeritus of radiology at Uppsala University in Sweden. Dr. Peter B. 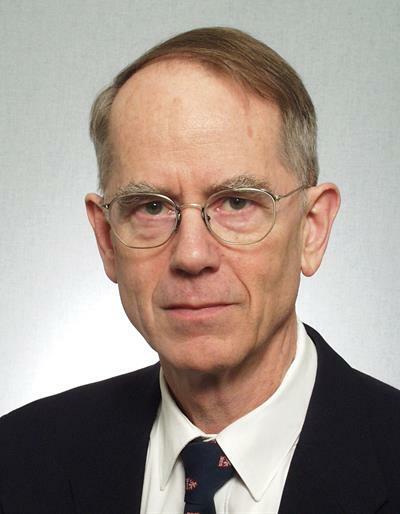 Dean is professor emeritus of radiology at University of Turku Faculty of Medicine in Finland.